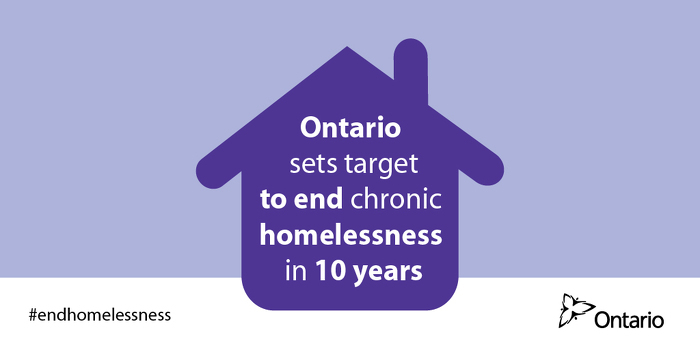 In January 2015, Ontario established an Expert Advisory Panel on Homelessness to provide advice on how to achieve the goal of ending homelessness under the province's Poverty Reduction Strategy. 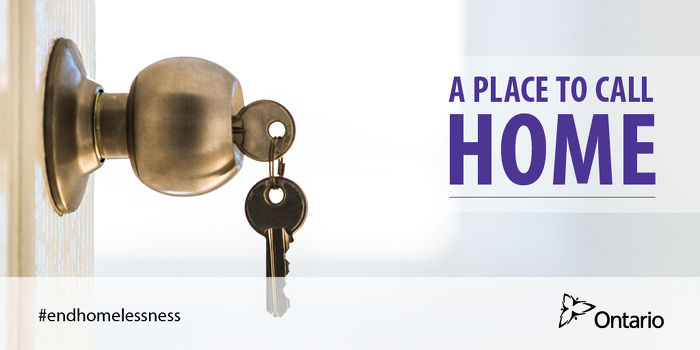 Working towards the long-term goal of ending homelessness is part of the government's economic plan for Ontario. The four-part plan is building Ontario up by investing in people's talents and skills, building new public infrastructure like roads and transit, creating a dynamic, innovative environment where business thrives and building a secure savings plan. In total, the Expert Advisory Panel heard from 40 key presenters representing 15 subpopulations (e.g., youth, LGBTTQ, Aboriginal peoples, seniors, women and families), including representatives from nine municipalities/regions: Hamilton, Cochrane, Durham Region, Peterborough, Thunder Bay, Waterloo, Toronto, London and Peel Region. The panel recommended that the province adopt the Federal Homelessness Partnering Strategy definition for chronic homelessness. Chronic homelessness is described as people who are currently homeless and have been homeless for six months or more in the past year.